Oscar winner Lupita Nyong’O arrived at the global premiere of her latest movie, “Us” championing a Saudi designer and it left the world stunned. “Us” is the second horror film directed by Jordan Peele following “Get Out”, which was a critical and box-office success, and received an Academy Award for Best Original Screenplay. Dazzling the red carpet in a suit designed by Saudi womenswear brand, Honayda, Lupita looked every bit the showstopper in a clean white structural power-tux. From designer Honayda Serafi’s SS19 collection, the look consisted of flared pants, a double breasted blazer with cut out sides and dramatic pleated tulle at the shoulder. Not only did her outfit catch the attention of the international media, but her hair and beauty look, inspired by rapper Snoop Dogg, caught everyone off guard – in a good way. 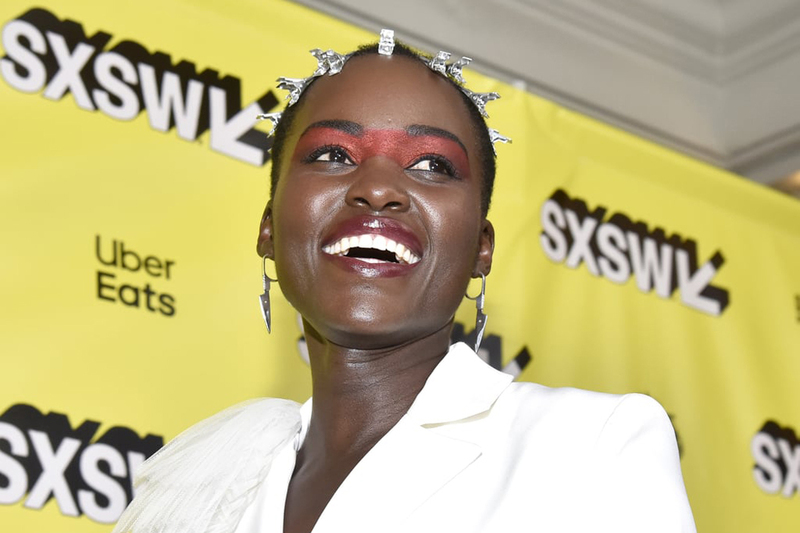 The Black Panther actress rocked a red eyeshadow and a crown of silver duckbill clips a la Mr Dogg, paying homage to 80’s pop culture. Lupita Nyong’o is the most recent star to be rocking a look by the emerging Saudi designer. Serafi is a Parsons School of Design graduate and since establishing her eponymous label, Honayda, her designs have been worn by stars including Olympic skier, Lindsey Vonn, and rapper Eve who wore her design at the 2019 Grammys.